The statistics are staggering. 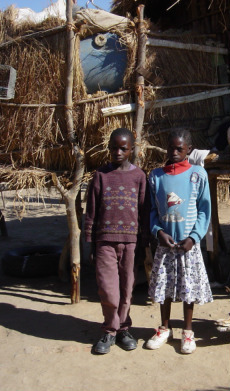 We have been told by an employee at the Children’s Welfare office in Kalomo that approximately 15 thousand orphans live in a 90 km radius around Kalomo. Africans use the term ‘orphan’ to define the loss of one parent; ‘double orphan’ defines the loss of both parents. We do not know how this statistic reflects ‘orphans’ versus ‘double orphans’, but we know that the loss of either parent presents significant problems for children in Africa. The loss of a father brings economic hardship and often means that the oldest son has to remain home to farm and feed the family. The loss of a mother often results in children being shifted to relatives for care. In addition to HIV/AIDS robbing children of parents, there remains for women a fairly high risk of dying during childbirth. In 2006, “Tendai House”, with house parents Wilson and Nancy Siazilo, became home for eight older children. Nearby at the Haven (Namwianga Mission) are four additional homes for babies and older children.